The three-day training, being undertaken by Atlas Network Leadership Academy, featured sessions on charting an organization’s course, project management, marketing, communications, and public policy. The trainings are being facilitated by Atlas Network staffers, including Dr. Lyall Swim and Tarun Vats, alongside independent facilitator, such as Manali Shah. 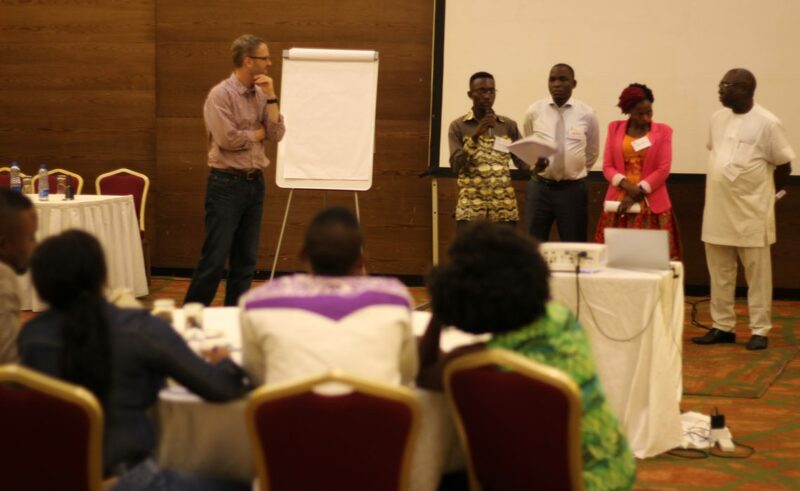 Participants learnt how to define and articulate organization’s vision for the future – a common challenge among in many youth-led organizations in Africa. In his opening remarks, Dr. Swim asked the participants to imagine what world they hope to create after taken the training. The participants not only learned how to achieve their goals, but also found efficient ways in which to reach them. A participant, Banke Olagbegi-Oloba, who is a young volunteer with ASFL, developed plans to implement in her organization during the workshop. “When I arrived for this training, I was in high spirits, because I believed that I had everything under control,” said Olagbegi-Oloba. “However, I realized that we have not been getting it right. There is a discord between the vision, mission, and goals. I tend to focus on the desired results, but this training has really helped me to clearly define and focus on the methods for how I intend to achieve them,” she added. A participant from Burundi and Chief Executive Officer of the Centre for Development and Enterprises, Aimable Manirakiza, said he was excited about the lessons learnt and promised to use the knowledge garnered from training to lead his young organization to success. On the final day of the event, the participants were divided into two different groups coordinated by advanced leaders. Participants had the opportunity to create fundraising plans and refined their pitches by presenting it to a panel of judges. 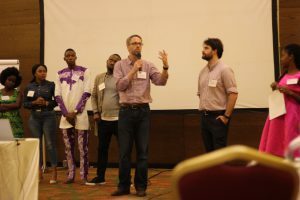 During the fundraising breakout session, Denis Foretia, a senior fellow at Nkafu Policy Institute, said he was excited to improve his knowledge. “One of the major challenges that we have is being able to better communicate our project ideas,” said Foretia. Vats, the Associate Director of Atlas Network’s Leadership Academy, said: “Having met and interacting with these young cheetahs, the new breed of intellectual entrepreneurs in Africa, I can now understand what Dr. Ayittey meant by the term. It gives me hope and assurance that Africa is in the right hands. We personally experienced the lack of institutions and lack of rule of law in our brief encounter with the authorities in our host country. Other participants at the workshop include Oluwafemi Ogunjobi from Nigeria, Evancy Nkya from Tanzania, John Mugabi from Uganda, Jared Kodhe from Kenya, Odette Kibu from Cameroon, and Nathaniel Dwamena from Ghana, among others.